Asthma is a serious disease that affects the airways of the lungs. It is a condition which is characterized by the shortness of breath, coughing, chest tightness etc.. The inflammation causes the airways to make a mucus which is thick and sticky secretion and it also makes the muscles around the airways tight. Swelling, tight muscles and mucus lead to narrower airways which makes it difficult for the air to get into and out of the lungs. An asthma attack is said to be a severe condition in which person experiences short of breath and feels difficulty in breathing properly. In some conditions, serious asthma attack calls for an emergency. Asthma can be inherited to you from your parents and if you have allergies from dust, glass, trees etc. then you are more likely to suffer from asthma. 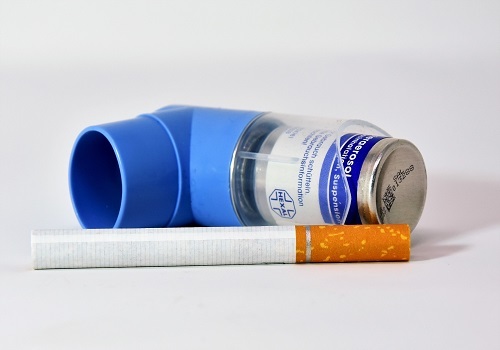 We all are aware that cigarette smoking has many negative impacts on the health but if you are suffering from asthma then smoking can make the condition worse over the time. People who suffer from asthma are very sensitive and can react to many things. Smoke damages the cilia which are hair like projections in the airways. Generally, Cilia works by sweeping the dust out of the airways and smoking affects the functioning of it. Smoking also results in more mucus than normal. As a result, airways become narrower and makes it difficult for the air to get in and out of the lungs. In fact, smoking and being around the people who smoke triggers the symptoms of asthma and can cause an asthma attack. If you are out of those people who love pets and suffers from asthma then it can be an additional problem for you. Animals trigger the symptoms of asthma and you are more likely to get allergic to them. Many researchers feel that animals are dangerous for those who suffer from asthma and can sometimes cause a serious allergy if you are highly sensitive. Proteins present in saliva, urine or flakes of the dead skin of the pets can cause allergy. Staying away from pets can lower the severity of asthma. Some of the symptoms you might experience if you are allergic to animals are red and itchy eyes, sore throat, coughing, difficulty breathing, itchy skin. Also Read: How your pets can make you sick? Allergic to dust is the most common symptom of asthma and most of the times dust allergy is due to the dust mites. Dust mites are the tiny dust particles that can only be seen through a microscope. People with dust mites allergy suffer the most at their homes as most of the dust mites are found in bedding, mattresses etc.. This allergy can trigger asthma and it is essential to take steps to stay away from dust such as wash bed linens frequently, use allergy proof pillows and mattresses, keep your carpets clean etc..
Those people who dry the clothes inside their houses are actually putting their lives in danger. Many studies suggest that drying clothes in the home can be dangerous for those who suffer from asthma. It can trigger the symptoms of asthma and can worsen the condition. According to them, moist environment releases the seeds called spores and these spores can react with the asthmatic people. When people breathe in these spores their immunity system gets affected and gets rid of it by coughing and sneezing. Many people report that stress is a common asthma trigger for them. If you are suffering from asthma and living a stressful life then you are more likely to experience shortness of breath, anxiety and sometimes panics. Also, stress is a mental or emotional strain and being emotional is itself an asthma trigger. Stress can also increase the consumption of alcohol and an intake of smoke and both of these are harmful to the asthmatics. Stress can also affect the medications as people under stress often ignore their medications. If you are asthmatic then follow these tips to manage your asthma and also share it with your family and friends to create awareness among them. Stay Safe, Stay Healthy!! Tags: 5 Pressure points to relieve asthma, Buy Asthma Medication Online, Asthma: Threat to The Normal Life, Seasonal affective disorder, What causes ragweed allergy and how to avoid it? How your inhaler rescue you from asthma attacks? How did I tackle asthma?